Learn the fundamentals of digital citizenship through animated, choose-your-own adventure interactive experiences, designed for grades 6-9. Invite students to explore digital dilemmas, make good (and not-so-good) decisions, and try out possible solutions through stories and mini-games – all without risking their real-world reputations. Discover how Common Sense Education’s award-winning digital literacy and citizenship curriculum seamlessly integrates into blended-learning environments. 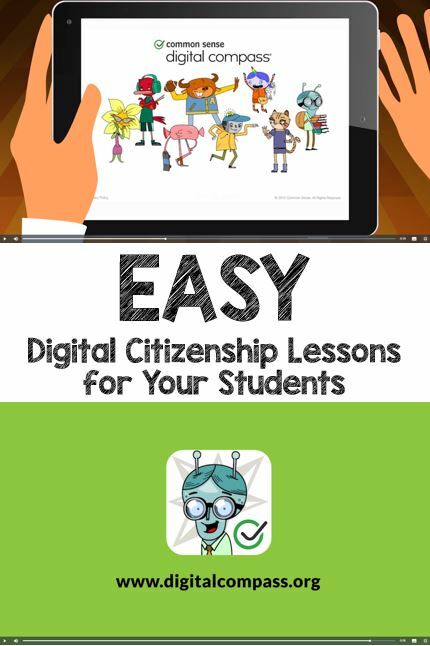 This curriculum is set up for students for easy access to learn about digital citizenship, including multiple areas that need to be addressed in today’s classroom. Students can complete this on an iPad, computer, or any device in your students’ hands. This is a curriculum that is meant to take your students 45 per session. There are 8 areas that students should complete to get the full experience and learn everything they need, so you’re looking at 6 hours total to complete this entire curriculum with your students. Check out the Web site at Common Sense Media.